March 1, 2018 Ron Thomson 730 Views 0 Comments ‘Conservation’ is, Conservation, Conservation vs Preservation, in fact, Preservation, subjugate to management because it represents only one arm (or function) of the management activity. In the context of the natural world ‘Conservation’ and ‘Preservation’ are the two essential arms of ‘wildlife management’. They are not synonyms because they each have a distinct and vital purpose. It is incorrect to believe that ‘conservation’ is just another word for ‘wildlife management’ because that is not the case at all. ‘Conservation’ is, in fact, subjugate to management because it represents only one arm (or function) of the management activity. Wild animals occur in different populations. Some populations are SAFE (numerous and breeding well) others are UNSAFE (small in number and shrinking). UNSAFE populations are on the road to local extinction. SAFE populations can and should be harvested sustainably, in one or many different ways, every year. They can be culled and/or hunted without adversely affecting the SAFETY of the population – provided the ‘take off’ is sustainable; provided the take off does not exceed the population’s incremental rate; and provided the take off is repeatable year after year. The wildlife management strategy that is applied to SAFE animal populations is called ‘conservation management’ and it implies sustainable ‘use’ or sustainable ‘consumptive management’ of one kind or another. If UNSAFE populations are to be saved from extinction, they require the application of a man-conceived management strategy that ‘protects them from all harm’. It is called ‘preservation management’. The purpose of applying a preservation management strategy to an UNSAFE animal population is to make it, once again, SAFE. UNSAFE populations should not be used in any way by man. 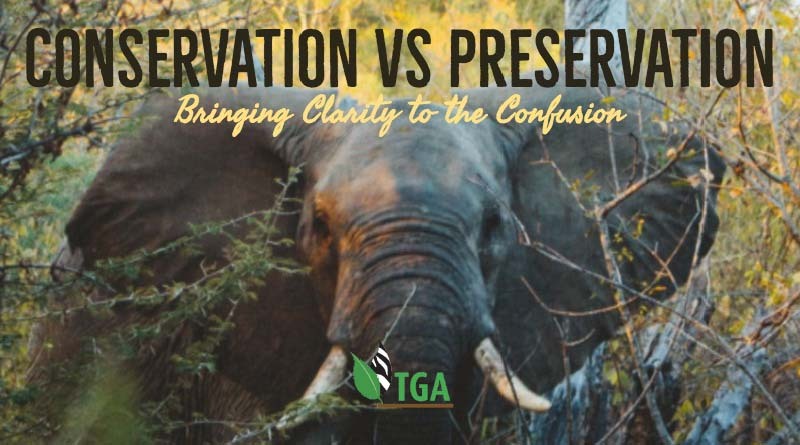 The concepts of ‘Conservation’ and ‘Preservation’, therefore, are essential brother-sister wildlife management tools that cannot and must not be separated; yet the strategies have to be applied separately. Wildlife management needs both strategies if it is to be complete. 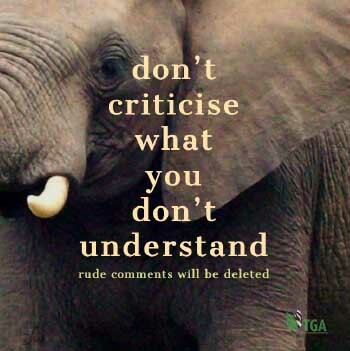 We should, therefore, not call animal rightists (the anti-hunters) ‘conservationists’ OR ‘preservationists’ because BOTH those concepts are integral and vital parts of the holistic wildlife management philosophy. Call them what they really are: abolitionists; hypocrits; fraudsters; eco-racketeers; and members of international organised crime. Why should we reduce their stature by calling them anything else!